The Ben Franklin Bridge, Delaware River, and Camden act as backdrop to the Spruce Street Harbor Park pop up, 26 June 2014. 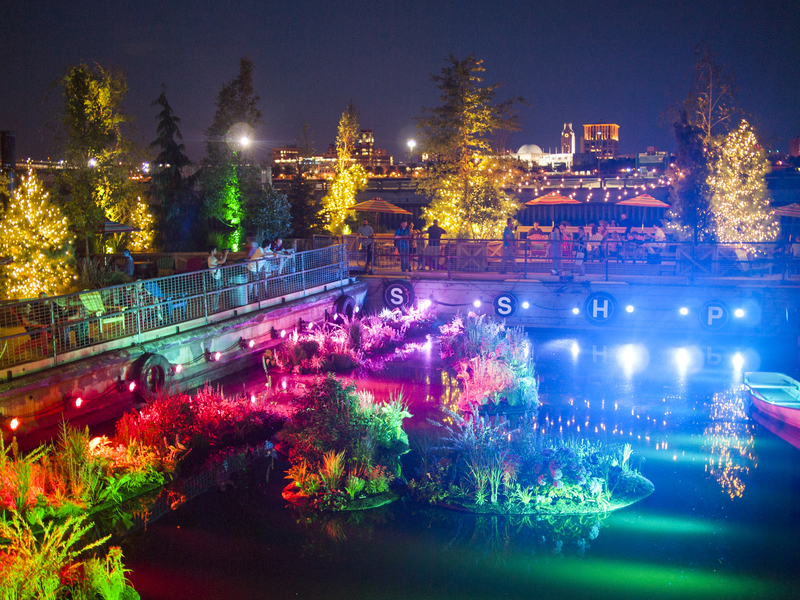 The space transformed by the floating barges, water-scaping, and knitted hammocks is made magical by an after dark rainbow light display, 26 June 2014. 29 Jul	This entry was published on July 29, 2014 at 7:25 am. 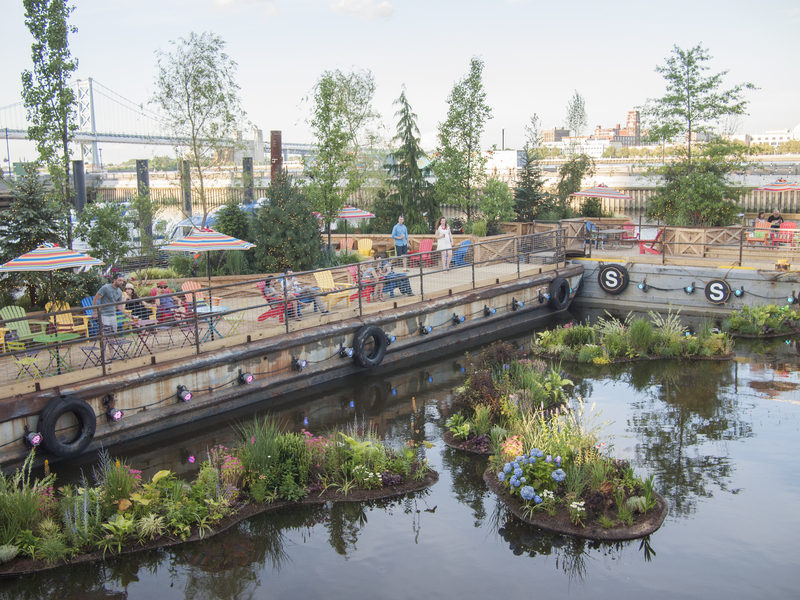 It’s filed under Old City and tagged Philly waterfront, pop-up garden, Spruce Street Harbor Park. Bookmark the permalink. Follow any comments here with the RSS feed for this post.